I’m looking forward to PyTennessee this February in Nashville. It’s a friendly Python conference, not too big, with great talks and smart people. Kind of like the city of Nashville itself: friendly and not too big. This year I’m giving two talks. One is about keeping our temper with beginners when they ask basic programming questions, the other is a CPython internals talk about destructors. Let me know if you’re coming, I hope to see you there. 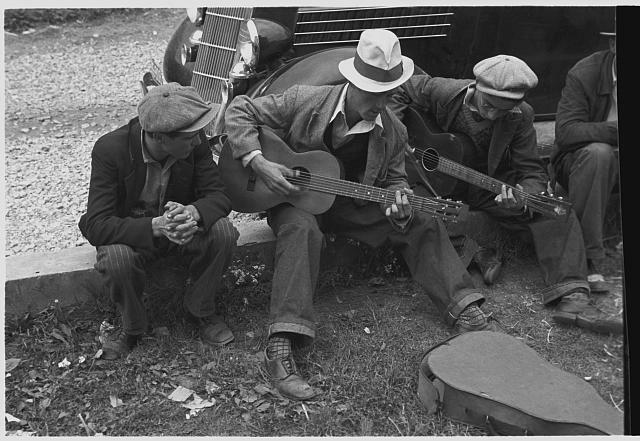 Image: Ben Shahn, Street musicians in Maynardville, Tennessee, 1935.